Russian Foreign Minister Sergey Lavrov and U.S. Secretary of State John Kerry shake hands prior to bilateral talks in Munich, Germany, Feb.11. The United States, Russia and other members of the International Syrian Support Group have agreed to introduce a ceasefire in Syria. The target group of the cessation of hostilities in Syria will have its first meeting this coming Friday, Feb. 19, Russian Deputy Foreign Minister Gennady Gatilov told Interfax. "As to the work of the target group on the cessation of hostilities, its meeting is scheduled for Friday. We mean that military representatives of Russia and the U.S. and some other key countries included in the International Syria Support Group will participate in it," he said. The date of a second round of the intra-Syrian negotiations in Geneva, February 25, has not been adjusted so far, he said. "[Special Envoy of the UN Secretary General for Syria] Staffan de Mistura has scheduled the next round for February 25, and he has not made any adjustments to that date as of yet," Gatilov told. 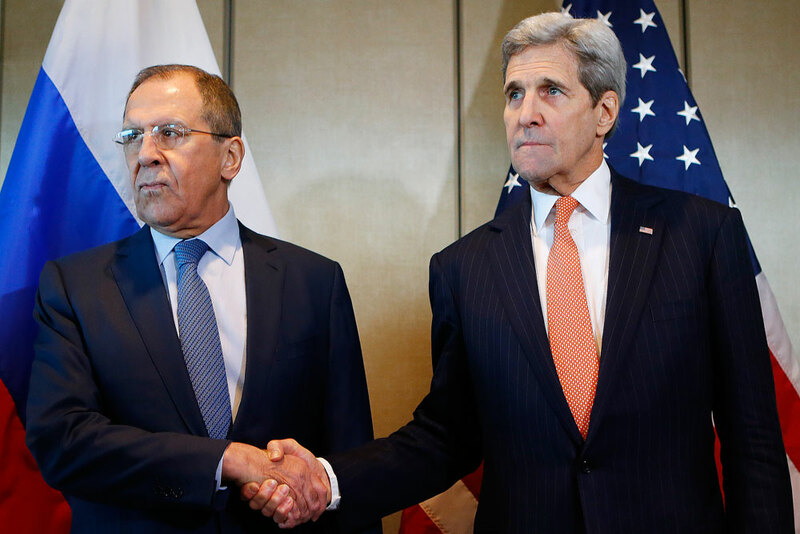 Read more: Syria conflict: Could ceasefire mark a turning point in the war?